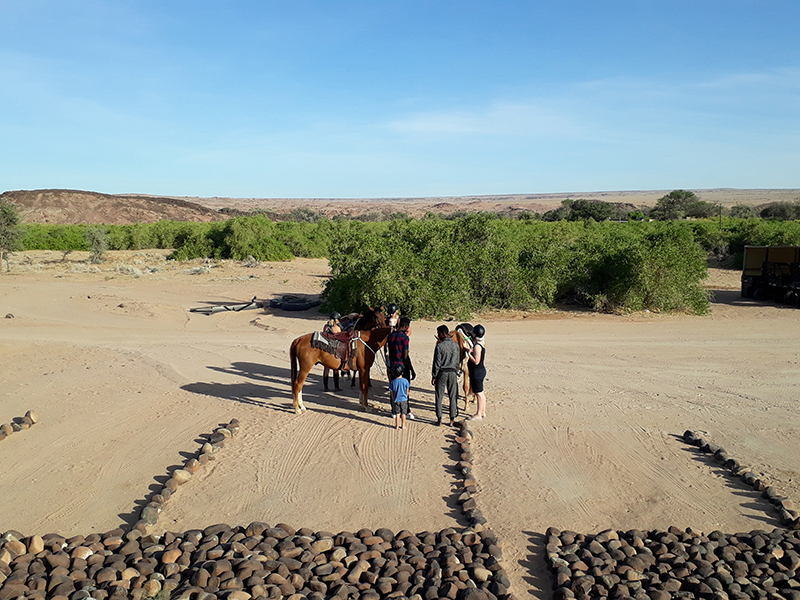 Brandberg White Lady Lodge expanded their activities with guided horse rides on our beautiful Arabian and Appaloosa horses in Damaraland. This can be experienced early morning and at sunset. 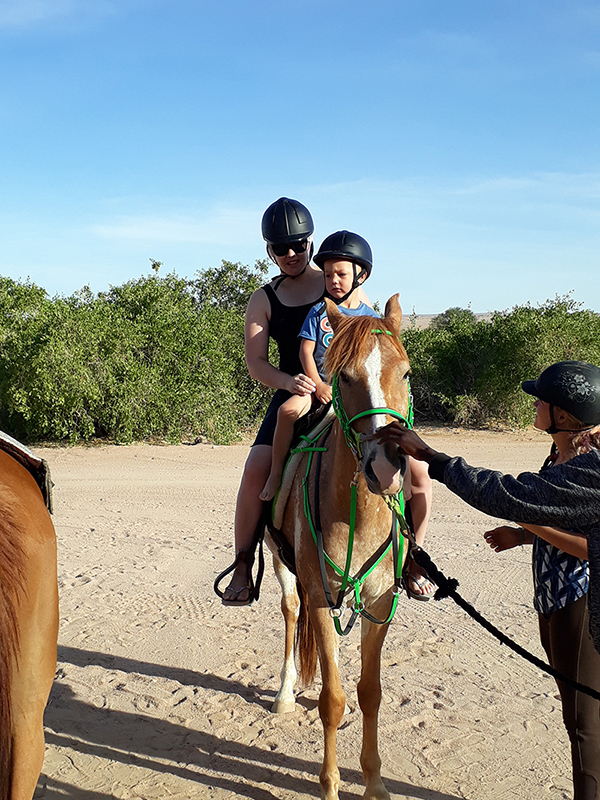 We offer this exciting activity both for experienced riders and beginners. Special Romantic trips can also be arranged. 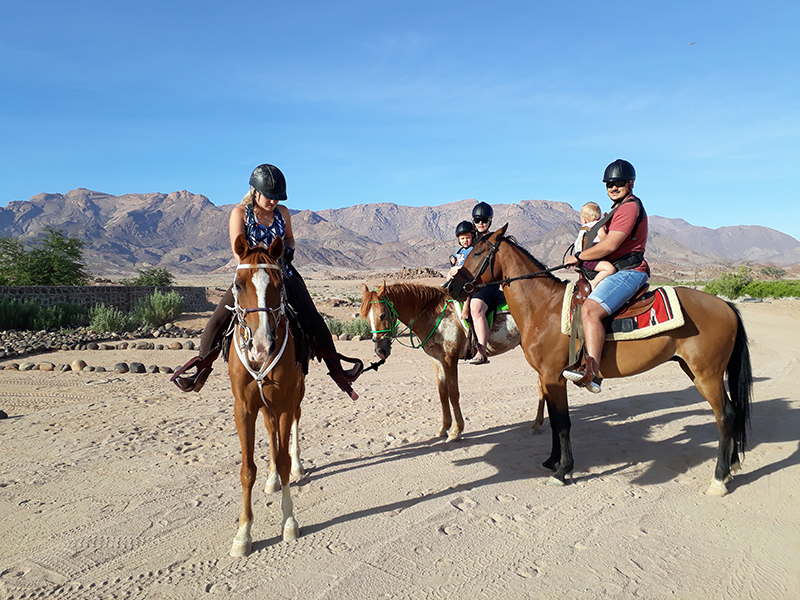 Riding a horse whilst experiencing the magnificent view of the Brandberg Mountain and Ugab Valley is something not to be missed. If you want to live the African outdoor adventure, then cowboy up! Bookings can be made at the Lodge. 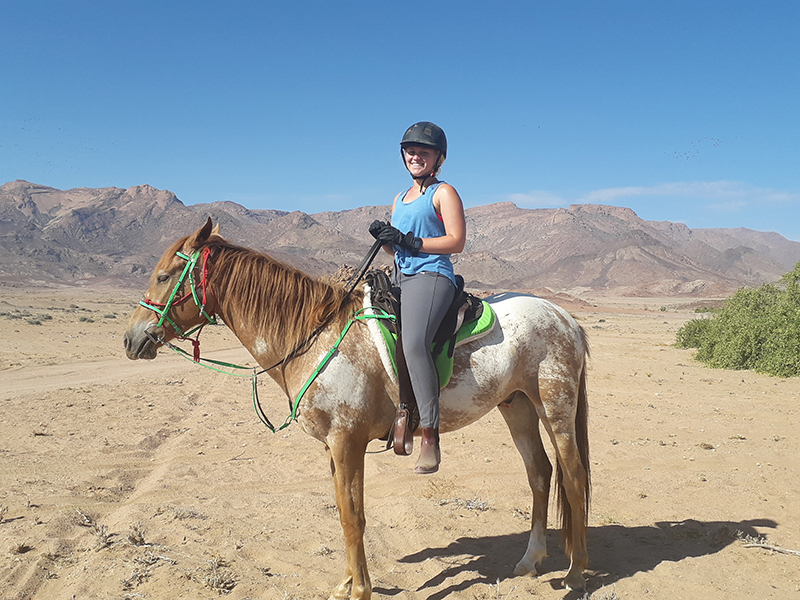 Anja de Jager is our stable manager and Equine Guide. She has experience with horses since 2014. Horses are her passion and she loves them like they’re her own children. She will be your guide and assist you with almost anything your heart desires in terms of horses.